“Don’t hurt me, heal me....Try as we might, people do come to harm in ways that can be prevented. Hospital acquired infections, injuries from falls, bed sores and medical errors are examples of preventable harm that occur every day in healthcare organisations." – Dr Peter Pisters. Falls are a common occurrence in care facilities and hospitals and cause unnecessary suffering and pain. Fortunately there are methods to reduce falls risk - this blog shares evidence based tips to support you. 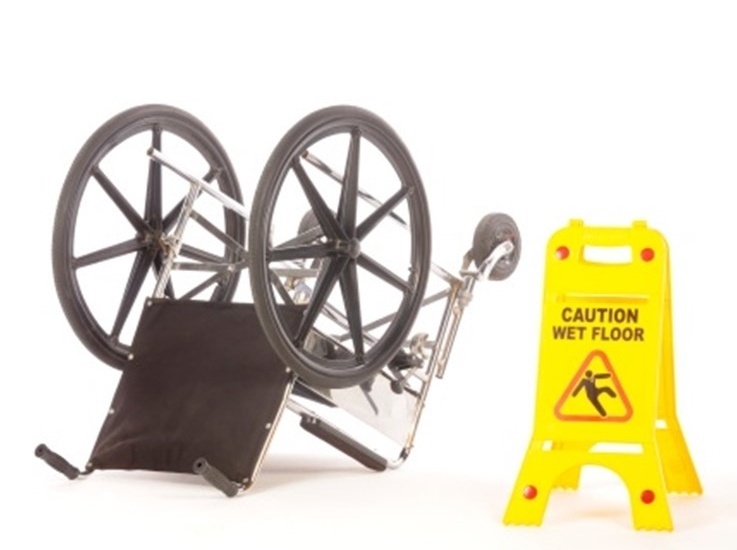 Accidental falls from chairs and wheelchairs places huge strain on the patient, their family and on healthcare budgets in dealing with and treating these preventable injuries. Falls and fall related injuries most commonly concern elderly members of the population but also patients suffering from low mobility due to different types of muscular and neurological diseases which impair their strength, balance and sense of space. Falls can also happen as a result of medication which patients might need which sometimes results in them feeling dizzy and off balance. Those patients who may have low strength, be unsteady on their feet or require extra assistance during sit to stand transfers are more at risk. Patients suffering from conditions such as Huntington’s Disease or Alzheimer’s Disease, with poor memory and cognitive impairment might impulsively try to stand up when seated and therefore are a high risk category. The correct seating solution can keep these patients safer, more secure and less at risk, and will reduce falls risk. 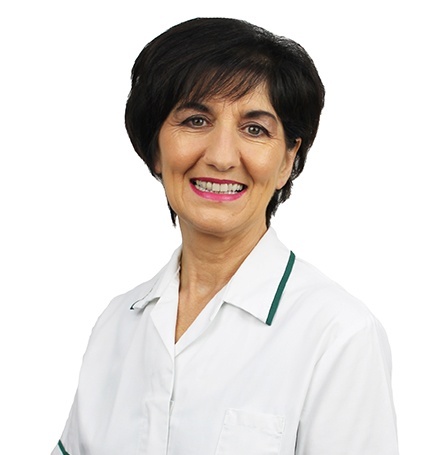 Watch Martina’s video as she outlines the impact of falls to patients and health authorities. She also demonstrates our chairs which have particular functions to reduce the risk of falls. When a patient has an unnecessary fall from their chair there is a large number of consequences resultant from this physically, mentally and economically. Injury/Hurt – i.e. broken bones, bruising, open wounds. Pressure ulcers - Repeated sliding out of a chair can cause shear which can contribute to an incidence of pressure ulcers. Delayed rehab – Injuries from falls can affect rehabilitation of the patient –slowing down progress and increases time spent in hospital and usually spent on bed rest. Confidence/Dignity – When a patient suffers a fall, this can really damage their confidence in themselves and they will be less likely to move around as much, and therefore may become even more immobile and dependent on others for assistance and help. This affects their dignity and pride and results in them being less independent. Manual handling risks – The need for constant repositioning due to a patient sliding down their chair means an increase in staff time and an increase risk of injury due to excess manual handling requirements. Expenses incurred –Care homes/hospital have additional costs to fulfil, performing operations, purchasing new equipment not to mention increased staff time to aid manual repositioning and treating injuries. Loading of the feet on an appropriate footplate. Back angle recline: This function enables the back angle of the chair to be opened out to accommodate a fixed hip angle and prevents the patient being pulled forward in their seat. Negative angle leg rest: This function accommodates those with tight hamstrings and enables them to be fully loaded into the chair and fully supported with their feet able to sit firmly behind the knee. Adjustable footplate: This is necessary in order to load the feet as 19% of a person’s body weight goes through the feet when seated. Adjustable seat angle recline: Enables lowering the pelvis into the chair and creates a stable base of support for the person when seated. Lateral supports : Help keep the posture in mid line position, reducing falling to one side and needing repositioning. Seatbelts: Can be useful to a certain extent but we recommend that they are only used during transfers and not constantly in use with patients. Seat depth: The ability to adjust seat depth in a chair is a great function for a multi-user environment allowing one chair to suit many different body shapes. For patients with long legs, the ability to adjust the seat depth is essential to properly load the femurs into the chair. Anterior leg rest function/Riser Function: Can help an individual slowly come to a standing position whilst being fully supported. (See Monaco Assist). Our research study which was conducted in conjunction with Ulster University proved a reduction in the use of additional restraints by 53%, which were used to reduce the risk of patients sliding or falling from chairs. Click here to discover more about our independent research study which also resulted in a reduction in pressure ulcers. 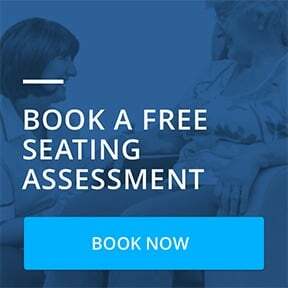 A thorough seating assessment and perhaps a small investment in the correct, supportive equipment, can drastically improve the quality of life for patients at risk of falls and sliding from chairs. Not only that but the additional benefits to the caregiver and the cost savings from reduced need for additional treatment and time saved repositioning cannot be underestimated. Perhaps the most important take away, is the reassurance to family members and carers that their patient or loved one is safe and secure from risk of injuries due to preventable falls. ‹ Previous Post - Is it a pressure ulcer, pressure injury or bed sore?